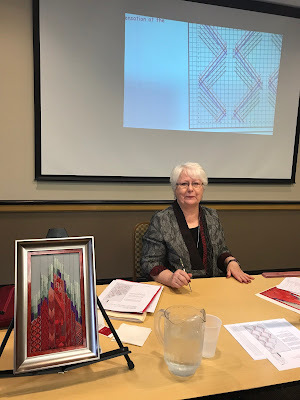 February 26, 2018--Just finished taking a 2-day class called Fire & Ice taught by Toni Gerdes and hosted by the ANG Checkerspot Chapter of Silver Spring, MD. Had a wonderful time learning new stitches and starting to "build" this wonderful project. 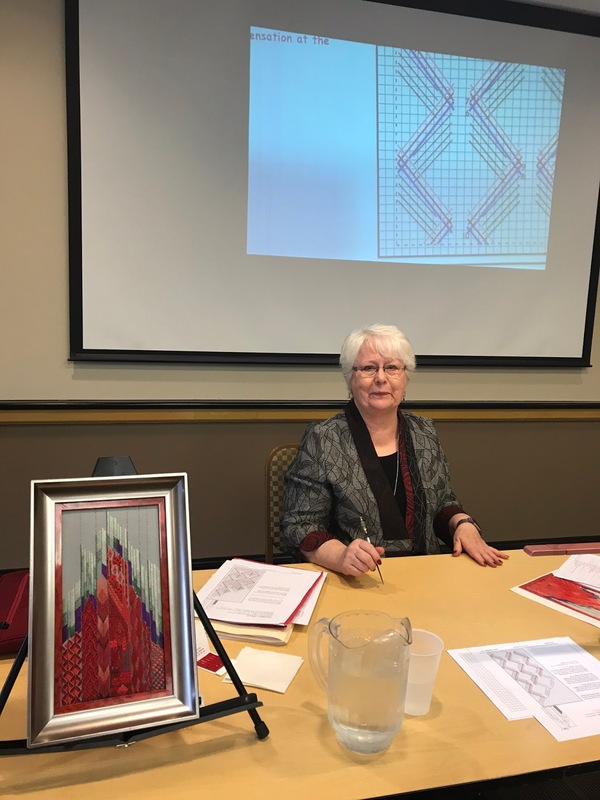 Toni designed this piece by selecting threads, colors and shapes based upon the Museum at Prairiefire in Overland Park, KS. 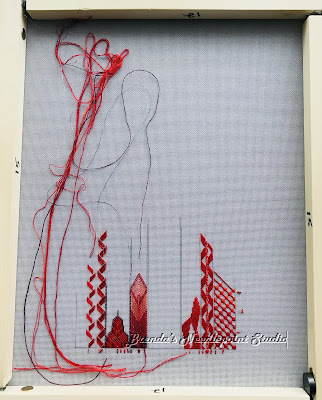 Have lots of "thread spaghetti" to untangle when I get back to this project--and it is calling to me.